HALIFAX, NS – 2 Crows Brewing has announced the details of a new limited edition beer that is the brewery’s first ever bottled release. Brewed with Pilsner malt, spelt, wheat, and oats, and hopped lightly with Calypso and Bramling Cross. Soured with a mixture of lactobacillus cultures, and fermented in gin barrels with a blend of saccharomyces and brettanomyces yeast. After conditioning in barrel for several months, the beer was transferred to stainless where it was further conditioned on the burnt zest of lemons, oranges, limes, and grapefruit. Finally, the beer was bottle conditioned with champagne yeast for a lively carbonation. Bright, tart, lightly funky, with juniper, citrus, oaky tannins, a subtle burnt/smoky character and a firm minerality. 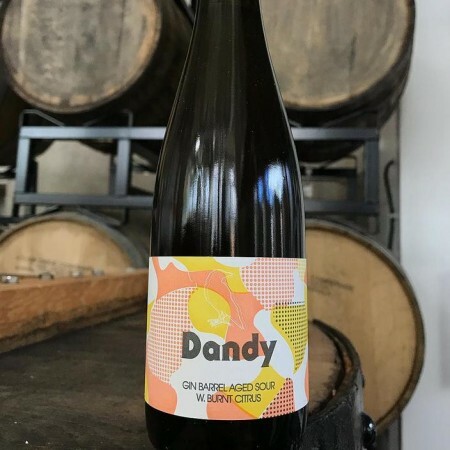 Dandy was released at 2 Crows on Saturday July 7th in a limited run of bottles featuring labels designed and printed by Midnight Oil Print & Design House using a vintage 1950s printing press. A small number of bottles are also available at Bishop’s Cellar while supplies last.